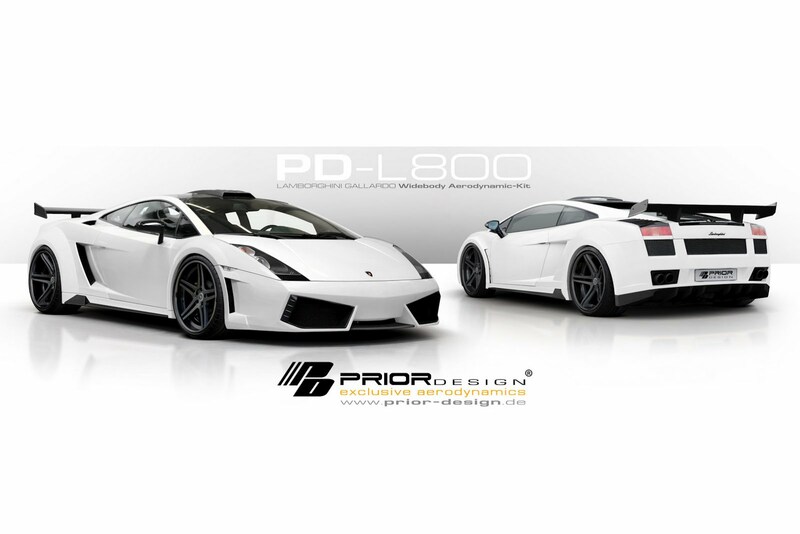 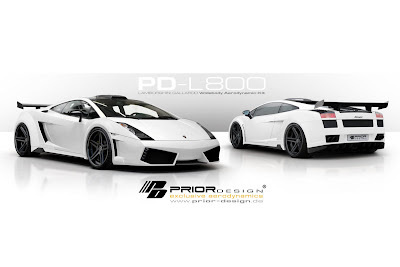 Prior Design is a German tuner that specializes on the development of bespoke aerodynamic kits, alloy wheels, and exhaust systems for a variety of cars ranging from the MINI hatchback all the way up to Lamborghini models such as the 2003-2008 Gallardo, which is the company's latest object of desire. 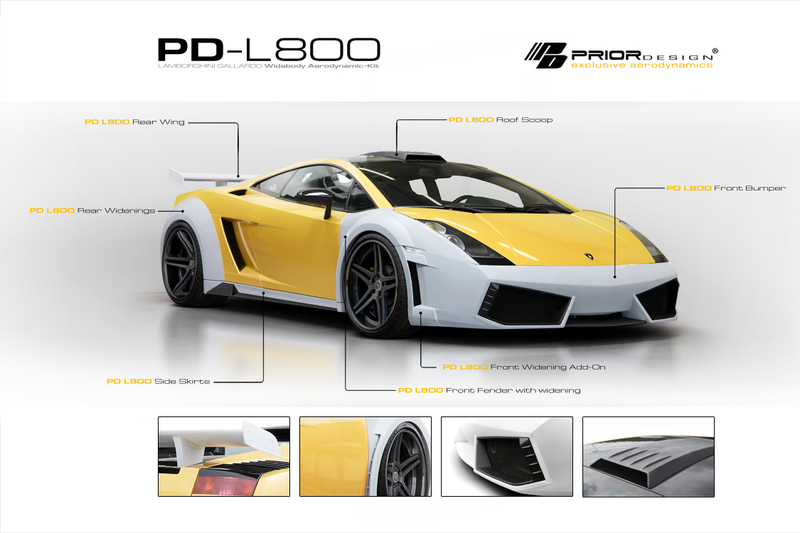 The aftermarket company has designed a wide-body kit named PD-L800 with all parts made from Dura-Flex FRP (Fiber Reinforced Plastic). 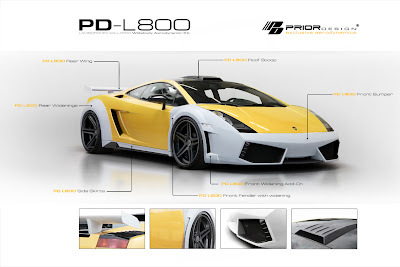 The hardware includes a new front bumper with huge intakes on the front and the sides, wider front and rear fenders with air intakes, a roof scoop, a rear wing, side skirts and a new rear bumper incorporating a diffuser. 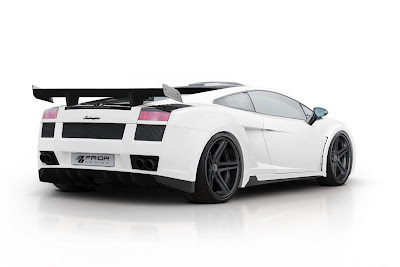 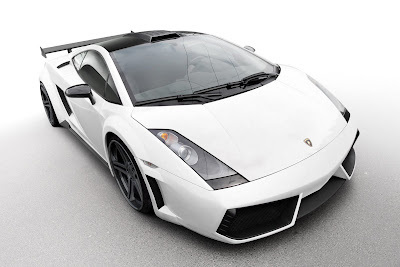 The body kit alone is priced at €12,900 (US$15,900) while buyers can further enhance the look of the Italian exotic with a set of black alloy wheels and a custom exhaust system.